No other containment product can match our quality and durability, while offering the most common sense alternative to high-maintenance earth dikes and costly concrete. Our professional engineers designed the systems to exceed the Environmental Protection Agency (EPA) Standards and EUB (G55) regulations for oil spill prevention and counter measures. The first in the industry to engineer and develop the steel concept for secondary containment, we use only the highest quality, chemically treated, galvanized steel. The 55,000psi yield, 70,000psi tensile, heavy-duty 10, 12 and 14 Gauge corrugated steel construction resists rust and corrosion even in the harshest environments. ​​​​Our steel systems ensure longevity, by forming each sidewall sheet with flanged tops and double bolted seams, providing twice the strength while maintaining sidewall shape and failsafe seals. 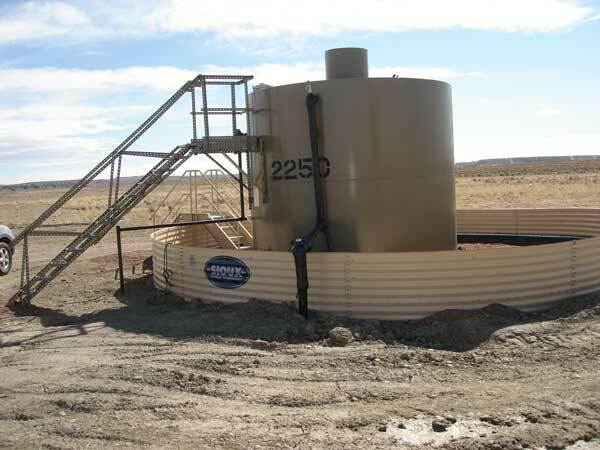 To prevent further leakage when, and if, a spill occurs, our high-grade liners are expertly sealed at each seam. Expansions and modifications to an existing system is easily done by adding more panels and liners. Dura Life Containment Systems can be easily disassembled, moved and reassembled to a new site, making relocating easy. Our Liners and Geotextile fabrics offer the highest flexibility for: easy conformance to earth contours and outstanding dimensional stability. Various liners are available, and offer the highest flexibility to suit the type of product needing to be stored. 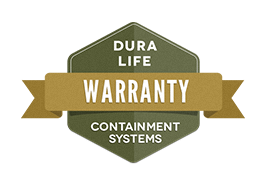 Dura Life® Containment Systems are steel systems ensure longevity and are backed by one of the best warranties in the industry. Learn the differences between metal gauges and the features that each provide to ensure you have a system in place that will give you peace of mind. 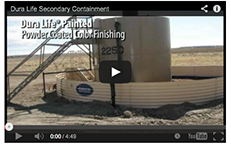 Dura Life Containment Systems are backed by one of the best warranties in the industry. © 2014, Sioux Steel. All Rights Reserved.